Black and Tri-Colour Ink Cartridges by HP – Black and Tri-Colour Printer Cartridge for Good Quality Printing! The ink cartridge set from HP comes with two cartridges. It has one black cartridge and one tri-colour cartridge for printing. This product is capable of printing up to 480 pages in total and ensures the fine detailing of the writings and pictures with well-formulated ink. 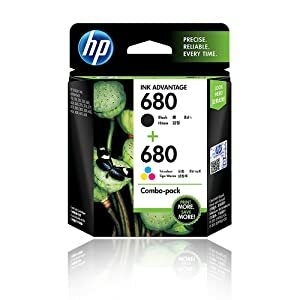 This ink cartridge from HP comes with a pigmentation ink type that stays longer on different types of material that the printing is carried out on.